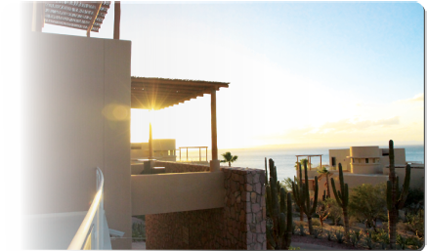 VistaMar combines modern contemporary design with the local architectural style enhancing Baja; with wooden trellises and shaded structures casting cool breezing shadows across expansive private terraces, tiled in natural stone enhancing spectacular views of the Sea of Cortez. When entertaining guests the spacious terrace provides additional out door dinning with functional enhanced square footage with breathe taking views. The master planned community at CostaBaja provides a variety of daily options and activities to do with out leaving the property; you may relax at the Private Beach Club or indulge in tranquility at Espiritu Spa. 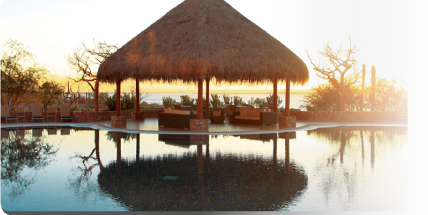 Start or end your day at the infinity edge pools, where cool waters combine with the scenery of the Bay of La Paz. Your new home offers the best of every imaginable service and on site amenity. VistaMar condominiums are spacious and luxurious; the grand arrival plaza features its palapa roof and hill side Villas. The convent subterranean garage is located next to manicured grounds where you're able to stroll through the plush, landscape complementing and embracing the natural surroundings. The remarkable development blends the lobby with opulence of a 5-star hotel enhancing all the comforts of home right at your finger tips. The VistaMar condos are gracefully resting behind the Villas surrounded by lush gardens with local eco friendly foliage and mesquite trees. 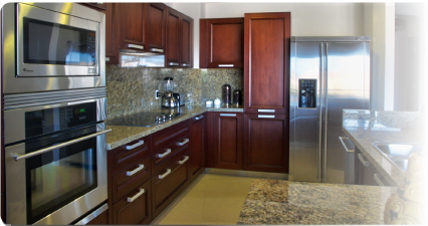 This is the perfect place for your second home; or for retirement in Mexico, overlooking the Sea of Cortez and Baja's natural ecosystem surrounding the community. If privacy is at the top of your wish list; make your home in Mexico at one of VistaMar's 16 semi-detached Villas. With several floor plans to choose from, each Villa incorporates a fan-shaped design with sliding glass doors to amplify the magnificent Sea of Cortez views. As a villa owner, you are free to enjoy all of the amenities available in the condominium tower, including the pool, concierge services and state of the art fitness center.